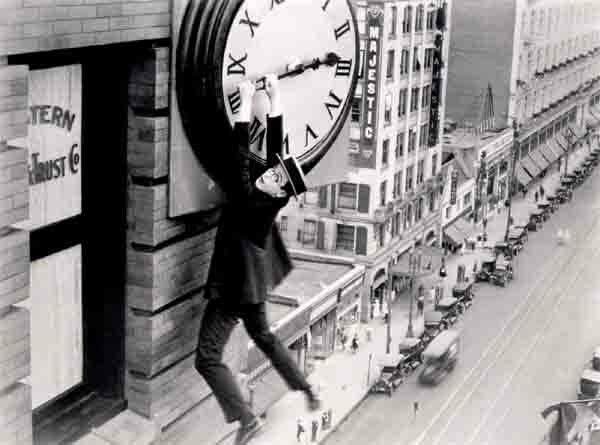 Yes, it’s Harold Lloyd in his iconic climb up the side of the 12-story Bolton Building, accompanied live by Ben Model, a silent film historian and accompanist for the Museum of Modern Art in New York. In 1997 he founded “The Silent Clowns Film Series” with film historian Bruce Lawton. Ben composes all his own scores, and performs in a style that is both evocative of the silent era and also aware of a contemporary (and younger) audience’s awareness of music and film scoring. Ben composes and improvises all his own scores, and performs in a style that is both evocative of the silent era and also aware of a contemporary (and younger) audience’s awareness of music and film scoring. After each movie – come upstairs to our candle-lit cafe and enjoy complementary coffee, wine, and sweets before you go home for the evening. « Who Put the B in Ballyhoo?